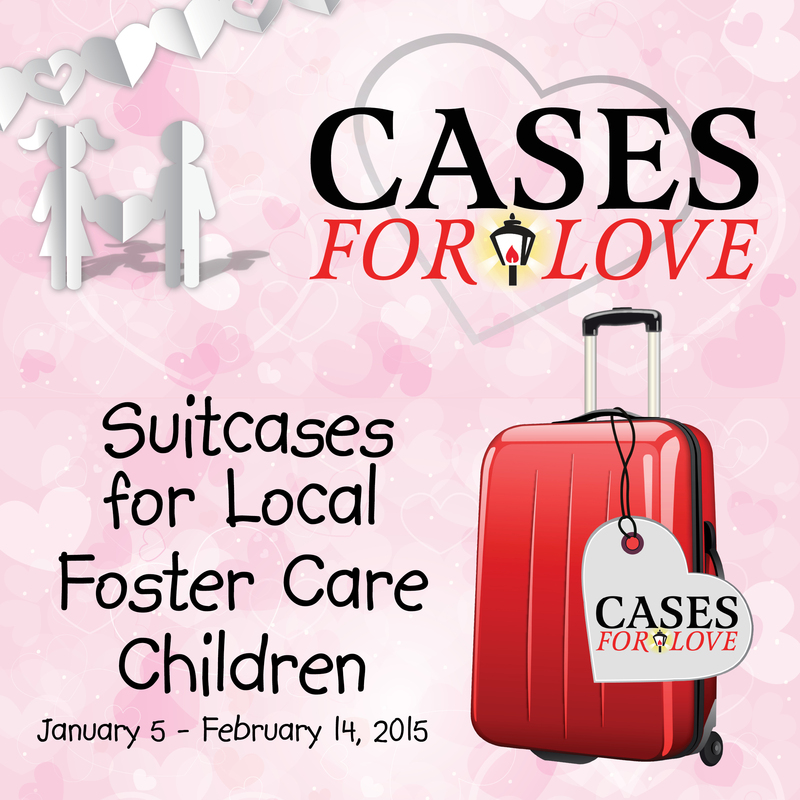 Do You Have a Suitcase You Can Donate To Foster Children? Sibcy Cline Realtors is participating in a community suitcase drive campaign called Cases For Love. The public is asked to donate new or gently used suitcases, backpacks and cosmetic cases at any Sibcy Cline location or Second Story Auctions. These cases will then be distributed to local foster children. The goal is to collect over 1,200 suitcases. Inspired from this show, Julie contacted local social service agencies and found that over 900 foster children with Hamilton County Job and Family Services could use a suitcase. Warm Welcomes, a foster care outreach program in Butler County, also had a need for suitcases. Local response to Cases For Love so far has been tremendous. 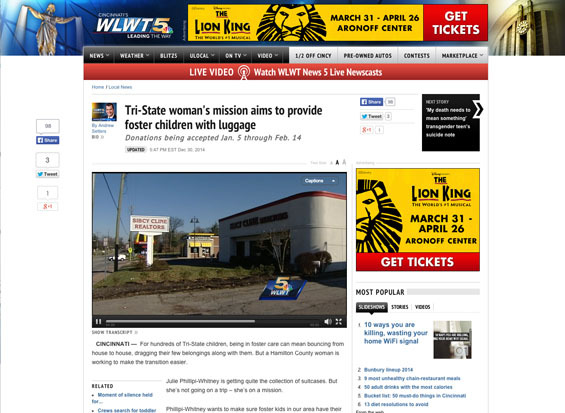 See a story from Channel 5/WLWT. Channel 9/WCPO also covered the story. Dayton Daily News published a large article in the Real Estate Plus magazine of the newspaper on January 4, 2015. This entry was posted in Communities, Events and tagged Cases For Love, Julie Phillippi-Whitney, M.A. Folkes Company, Mark Bruns, Pam Sibcy, suitcase donations for foster children, University Moving and Storage Company by susanaknabe. Bookmark the permalink.